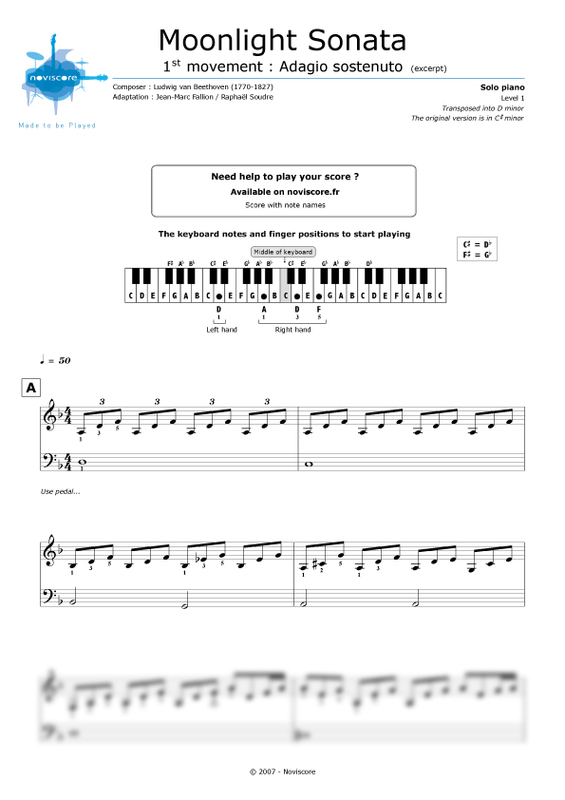 Have you just started learning the piano and want to play a great classic? 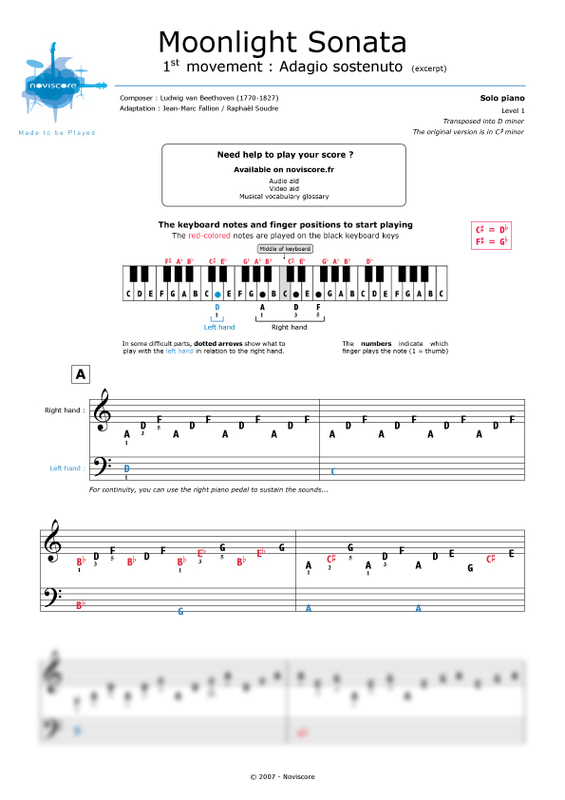 Try Moonlight Sonata piano sheet music (Adagio), one of the most popular compositions for the piano by Ludwig van Beethoven. 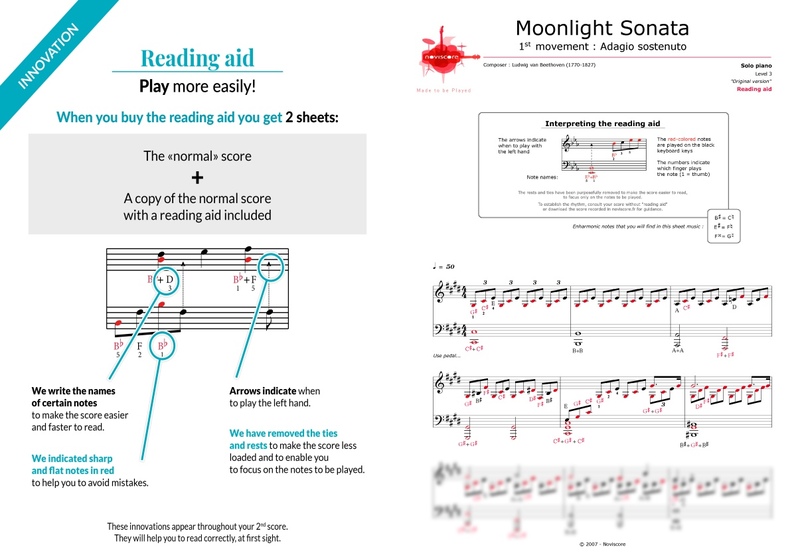 Whatever your piano skills, listen to a musical extract for each of our three levels before choosing the sheet music that is right for you. 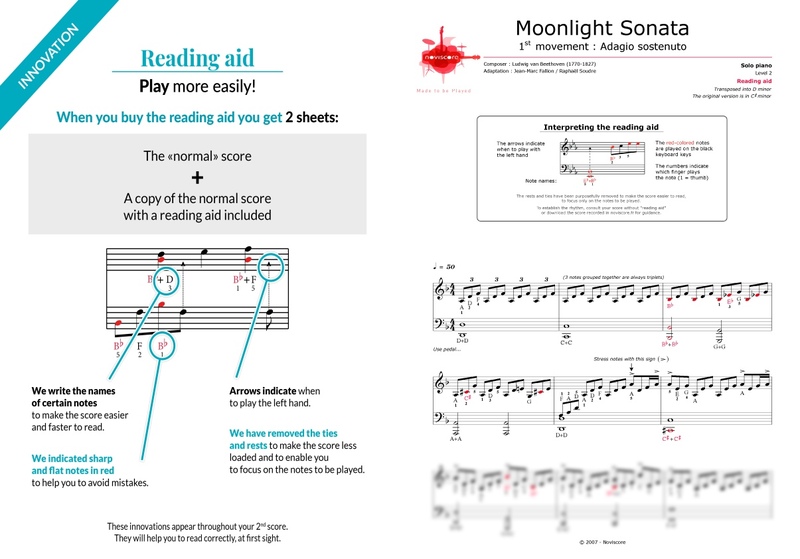 If you have difficulty reading the notes, then we suggest our easy piano sheet music Level 1 with note names instead of symbols. 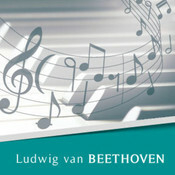 Moonlight Sonata is the widely-known name for the first movement of Piano Sonata No. 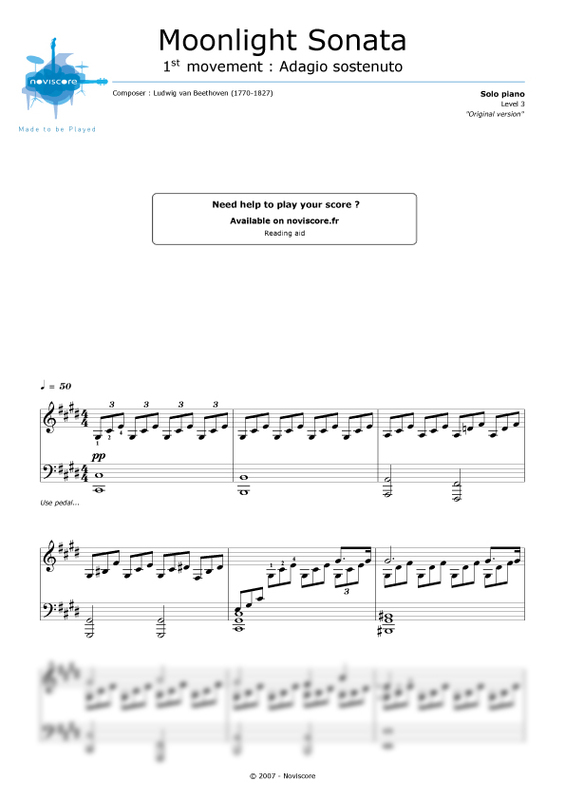 14, the adagio. Beethoven completed it in 1801 and dedicated this beautiful piece of classical music to one of his pupils, the Countess Giulietta Guicciardi. 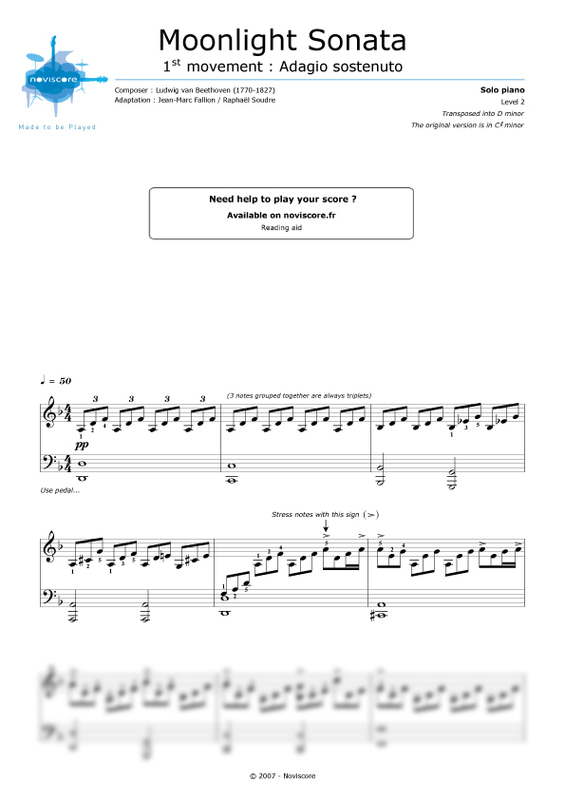 Select your level and print out your music sheets from your own home.